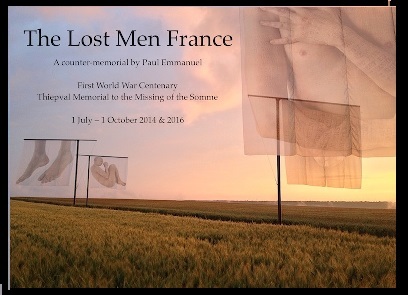 DARTS speaker – Paul Emmanuel – will talk to us about ‘The Lost Men in France’, a public art project that was temporarily installed adjacent to the Thiepval Memorial to the Missing of the Somme Circuit of Remembrance and as an official event of the World War One Centenary in 2014. In June 2015, the remains of this anti-monument , which questions the exclusion of certain people in traditional memorials, were installed at Freedom Park Museum, Pretoria, in an exhibition titled ‘Remnants’ which toured to Boston University’s 808 Gallery, Massachusetts, USA in January 2016 and The Reservoir at Oliewenhuis Art Museum, Bloemfontein, South Africa in May 2017. Paul was born in Zambia and is a graduate of Wits. He is well known for his touring exhibitions for which he employs various media and for which he has won several awards.